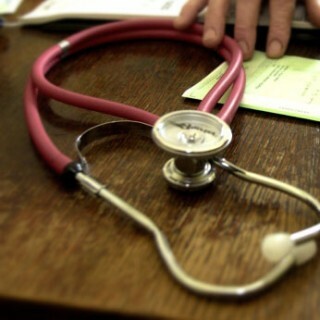 Home » News & Blog » Blog » How do I make a complaint if I am not happy with the care provided by my GP or GP surgery? How do I make a complaint if I am not happy with the care provided by my GP or GP surgery? Making a complaint about medical care can seem difficult, distressing and intimidating, but there are plenty of people who can help with free advice and information. If you are thinking of making a formal complaint about a GP or GP surgery, do not hesitate to consult a medical negligence legal expert at this early stage. If they are genuine specialists, the solicitor will be happy to help and answer questions on a no fee, no obligation basis. They can help identify who to complain to, give you the right questions to ask, and put you in touch with people and organisation that can help you fill in the forms and write letters. You can and should complain about a GP or other healthcare professional within a practice if they do not provide a good standard of care. It is often perceived as a hassle and time consuming. Patients worry that the complaint will not be taken seriously, it could affect their future care or it could mean the patient is struck-off the GP’s practice list. But in the vast majority of cases these fears are unfounded and highlighting poor care, errors and omissions by medical professions is important for your health and the health of other people. Each individual healthcare professional must provide a good standard of care. It is a legal duty and it is required by medical regulatory bodies. In the case of a practice nurse at your GP’s surgery it is the Nursing and Midwifery Council and The General Medical Council for GPs. A duty of candour recently came into effect for GP practices, which means GPs are under a duty to inform patients when things have gone wrong. They have to be transparent if someone suffers severe harm, moderate harm or prolonged psychological harm as a result of a failure in care. They must inform patients, provide reasonable support, provide truthful information and write an apology. In many cases, a GP or GP surgery will welcome the feedback that a formal complaint provides. A frank and open approach can help them review personnel, services and procedures that will ultimately improve their service and care. What to do before you complain? Before deciding to make a complaint it is important to consider what you want to achieve. Do you want an apology, action to be taken against a member of staff, or a change to their medical procedures? You will have to make this clear when you register an official complaint. When you make a complaint in writing, keep a copy of everything you post, and make a note of when you sent it. Who do you complaint to? If you’re unhappy with your GP or GP surgery, you can make a formal complaint to the practice directly, or to the NHS in your region. If your complaint isn’t resolved at this level, you can contact the Health Service Ombudsman. It can be confusing to work out who is responsible and who you can raise your concerns with. Most GPs are not employed directly by the NHS. They have a contract to provide NHS services. Surgeries employ their own staff and therefore if you have concerns about a member of staff at the GP surgery (including a doctor), you can complain to the GP surgery that employs them. Many problems can be dealt with on the spot if they are raised informally with staff at the GP practice. However, if you would like to make a formal complaint then each GP surgery will have its own complaints procedure. Ask for a copy from the practice manager and make sure you follow it to ensure your complaint is dealt with quickly and appropriately. Again an experienced medical negligence solicitor will be happy to give you 30 minutes of their time to advise you on how to complete any forms or put you in contact with organisations that will help, such as Healthwatch, The Patient Association or NHS Advocacy. Under the NHS Constitution you have a right to have your complaint properly investigated. Your complaint should be acknowledged within three working days, and you should also be told about the outcome of the investigation. If you do not wish to complain directly to your GP surgery then you can contact the NHS within you region. It is important to ensure that you direct your complaint to the correct NHS organisation so that your concerns can be investigated properly. All GP practices now belong to a Clinical Commissioning Group (CCG) and you can direct your complaint to the local CCG. To find your local CCG click here and enter your post code. The complaint can be made by email, letter or verbally, but make sure you make a note of your complaint and the response you receive by phone or face-to-face. If you have already complained to your service provider, in this case the GP surgery, then the CCG will not be able to reinvestigate the same concerns. However, if you are unhappy with the response to your complaint or they are being too slow, you can refer the matter to the Parliamentary and Health Service Ombudsman. The Parliamentary and Health Service Ombudsman (PHSO) is independent of the NHS and free to use. It can help resolve your complaint, and tell the relevant NHS service how to put things right if it has got them wrong. The PHSO only has legal powers to investigate certain complaints and it has very strict criteria to meet before they will investigate. In the first instance you must have received a final response from your GP practice or the appropriate CCG, or at least given them a reasonable time to respond, before the ombudsman can look at your complaint. You must give the care provider an opportunity to put things right first. It is advised to make your complaint in writing using a designated form but you can also email or phone the PHSO about your concerns. Again, do not hesitate to approach a specialist solicitor for advice about the PHSO process. When making a standard complaint about your care to a service provider (GP surgery or CCG) or the PHSO you have 12 months from the date of the incident, or from when you were made aware of the incident, to start a complaint. If they are still able to investigate a complaint after a year they may still consider it, but they are under no obligation to do so. They may consider investigating a complaint if there are exceptional extenuating circumstances. For example, a patient has experienced major trauma and it took a long time to recover. But it is always better to make a complaint as soon as possible, to avoid any facts being disputed and the process taking longer to resolve. GP services are there for us when we need them. GPs and practice nurses do an extraordinary job in high-pressured, often life or death situations, in busy, underfunded and short staffed surgeries. They have just 10 minutes with each patient to make a diagnosis from often complicated symptoms and also help us with our lives in general. With government cuts taking hold, GPs are working longer hours for more patients, with less support staff, and less time to make a diagnosis, which means during even routine medical consultations and procedures, an error or omission, can happen. So, it is not always in the power of the GP or the GP surgery to improve their standard of care. Certain concerns and complaints that you may have about a GP service could ultimately be about wider policies and funding. Highlighting those concerns and complaints with your local Member of Parliament is an important and constructive way of voicing issues regarding the standard of care that your local GP and GP practice are able to provide.